This site provides some background information on this remarkable self-taught inventor and explorer, and explains the unique links he provides between the early development of what has become the gun turret, the construction of the Statue of Liberty and location of the Panama Canal. Revealed also is the curious link to the English author PG Wodehouse and his heroines! Kennish took naval warfare out of the “Pirates of the Caribbean” era of Broadsides and into precision gunnery, the likes of which had never been seen before. 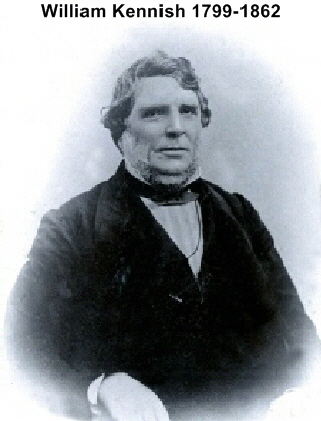 William Kennish was born in Cornaa in the Isle of Man in 1799, and joined the Royal Navy in 1822 after being rebuffed by his sweetheart. Initially unable to speak, read or write English and knowing only his native Manx Gaelic, within 7 years he had risen through the ranks to become the master carpenter to the Mediterranean Fleet. JUNE 20th 2017 Tynwald, the government of the Isle of Man unanimously elected William Kennish to the Manx Patriot’s Roll of Honour. The Manx Patriot’s video also can be seen here. The NEW MEMORIAL to William Kennish was placed and dedicated on Sunday March 19th 2017 at Green Wood Cemetery, Brooklyn, NY. 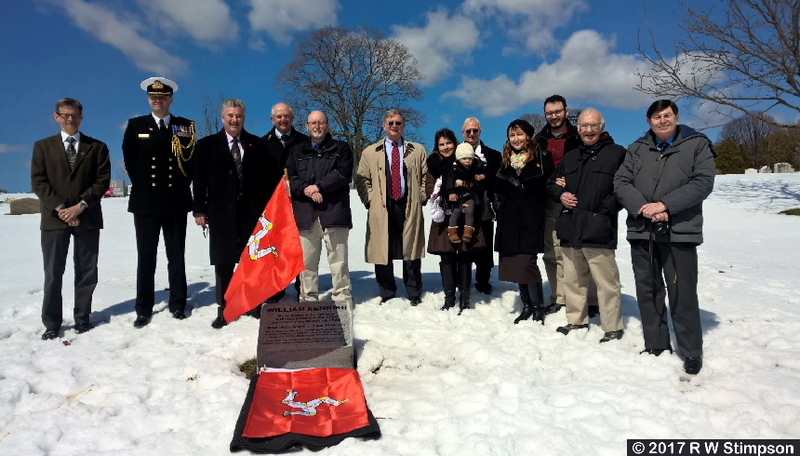 To everyone who contributed to the appeal - the memorial was installed on 19th March 2017! 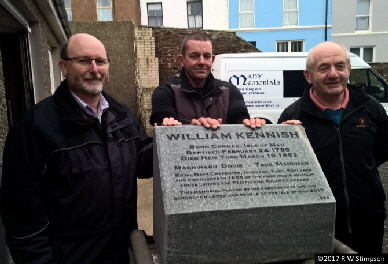 This photo of the finished memorial was taken on Saturday 18th February in Peel at Manx Memorial’s Yard, prior to it being crated up for shipment. See the photos of the ceremony HERE!